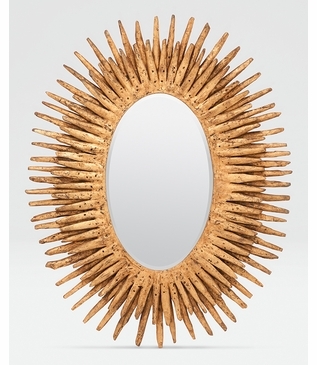 Nature and glamor collide to create an explosive statement piece. 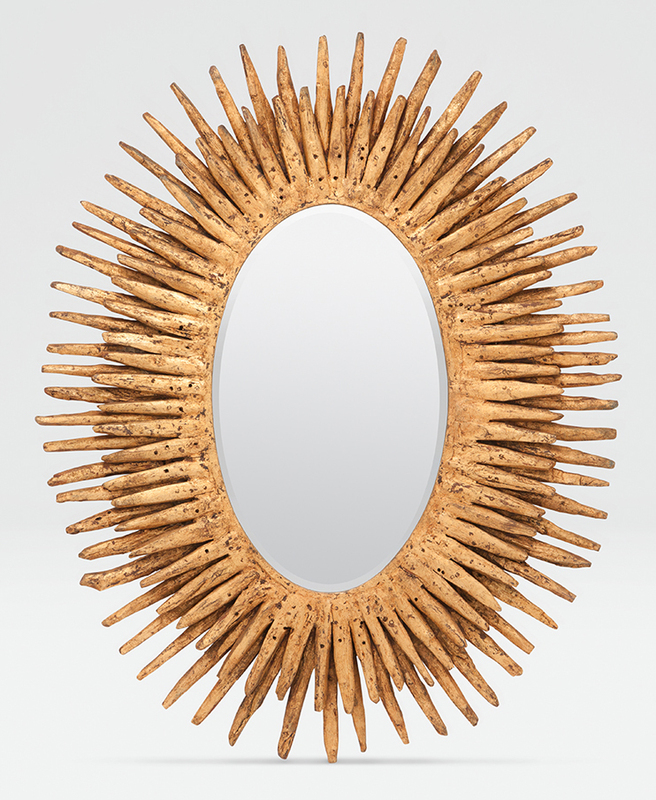 This oval mirror is framed in a starburst of layered teak rays finished in an antiqued gold. Also available in a round shape.